The VISION 365 (UV365) UV LED Torch Light is a High Powered rechargeable UV LED Torch used for applications such as NDT Inspection (MPI - Magnetic Particle Inspection & DPI - Dye Penetrant), Crime Scene Investigation, Leak Testing, Detection of SmartWater TM & Other DNA Based Tracer Liquids, Art Verification & Restoration and many more. 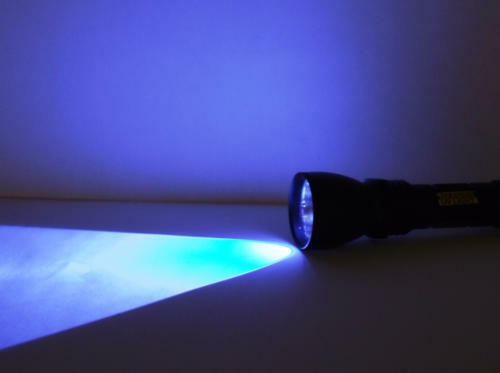 The Vision 365 (UV365) Blacklight UV Torch from Advanced NDT Ltd offers a light compact, long life, high durability solution to UV inspection techniques. The high powered LED bulb gives intensity greater than 6,000µw/cm² (60W/m2) at 400mm. The visible light output is <20 Lux. The battery life is approximately 3 hours per battery enabling longer inspection periods. The VISION 365 Torch Light - Spotlight is a small-sized, lightweight, UV-A LED flash-light designed for quick inspections and access to “hard-to- reach” spots. The lamp measures 14.5 cm long (5.7 inches) and weighs 190 grams, battery included. 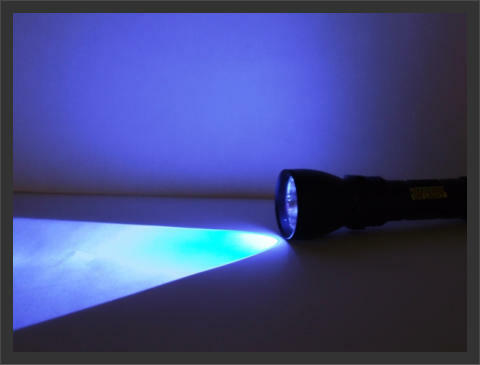 The VISION 365 UV LED Torch - Spotlight contains one (1) ultraviolet light emitting diode (LED). The LED creates UV light that peaks at 365 nm making it suitable for industrial, leakage and security applications. Full power is reached instantly. The on/off button is recessed in the back of the lamp to prevent accidental activation. At full charge the batteries provide up to 6 hours of use. Recharge from a normal outlet or vehicle with included chargers. The kit also includes an extra battery, enabling you to charge one whilst using the other. The Vision 365 (UV365) Blacklight UV Torch from Advanced NDT Ltd offers a light compact, long life, high durability solution to UV inspection techniques. The high powered LED bulb gives intensity greater than 6,000µw/cm² (60W/m2) at 400mm. The visible light output is <20 Lux. The battery life is approximately 3 hours per battery enabling longer inspection periods. The VISION 365 Torch Light - Spotlight is a small-sized, lightweight, UV- A LED flash-light designed for quick inspections and access to “hard-to- reach” spots. The lamp measures 14.5 cm long (5.7 inches) and weighs 190 grams, battery included. 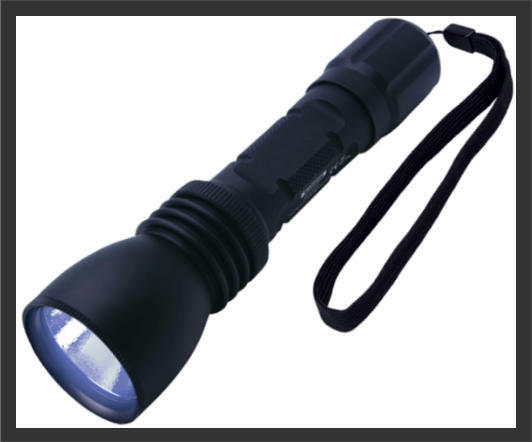 The VISION 365 UV LED Torch - Spotlight contains one (1) ultraviolet light emitting diode (LED). 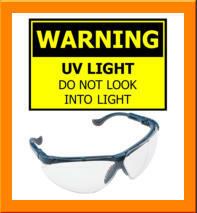 The LED creates UV light that peaks at 365 nm making it suitable for industrial, leakage and security applications. Full power is reached instantly. The on/off button is recessed in the back of the lamp to prevent accidental activation. At full charge the batteries provide up to 6 hours of use. Recharge from a normal outlet or vehicle with included chargers. 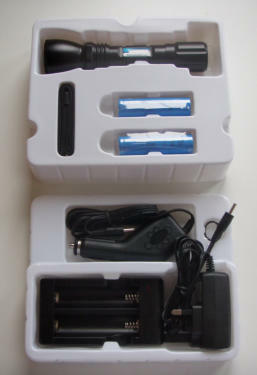 The kit also includes an extra battery, enabling you to charge one whilst using the other.